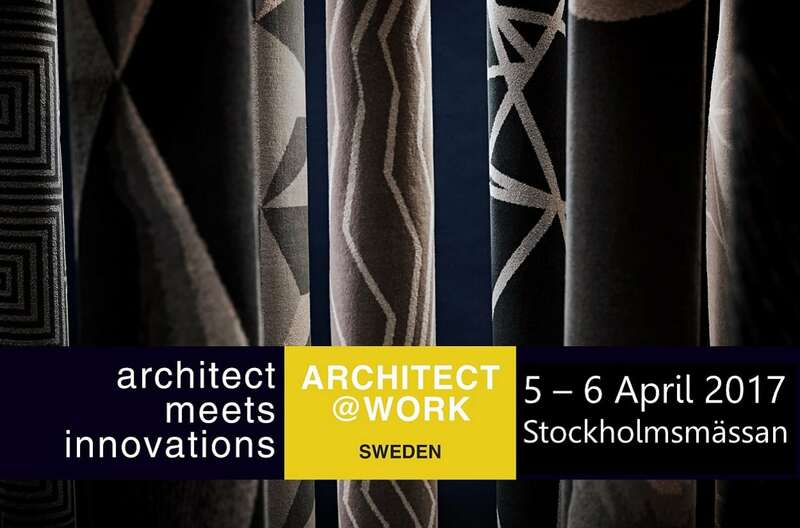 Dansk Wilton attends ARCHITECT@WORK in Stockholm 5-6 April 2017. ARCHITECT@WORK is an exclusive event for architects, interior designers and other specifiers. Considerable focus is laid on the exchange of knowledge and innovative ideas. Dansk Wilton is proud to be accepted as an exhibitor with our innovative carpet solution DW TWIST. All exhibitors are approved by a judging panel of architects and interior designers. Visit our stand no. 68 to learn more about our innovative carpet solution DW TWIST. You can register free of charge by using code 68 following this link. We look forward to seeing you in Stockholm 5-6 April. Visit the website of ARCHITECT@WORK.